You can go almost everywhere by bus. Spain has a very large network that is very well organized. There is a multitude of companies, all of them offering a trip to almost everywhere you can imagine (except the Balearic and Canary islands, of course). It is also a great option if you are travelling on a low budget although you should expect to spend quite a few hours on the road (depending of your destination of course). Just to give you an idea, you can have a look at the driving distances in Spain. 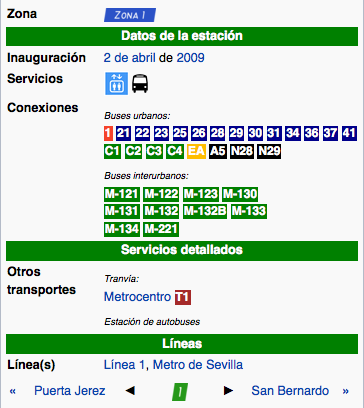 Seville has two bus stations: Prado de San Sebastian and Plaza de Armas. Both of them are located in the city center and have an easy access either walking, cycling (choose either Sevici or a hired one) or by bus. This station is the bigger of the two because it acts as a regular bus station and as a transit hub, gathering regional and long distance buses, city buses, the subway and the tram. 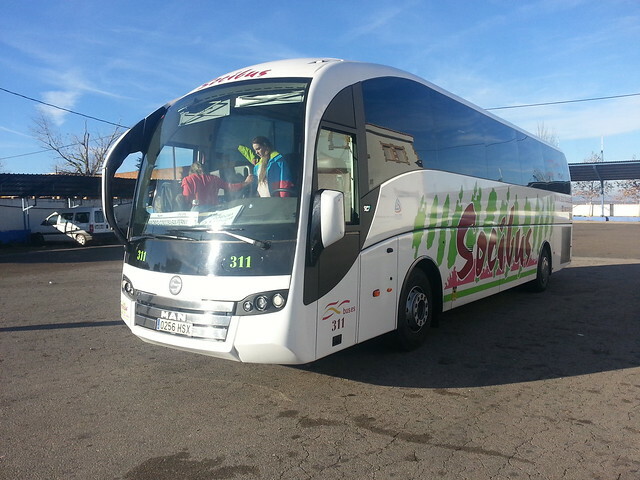 Buses to other cities and towns of Andalucia such as Granada, Malaga, Cordoba, Almeria, Jaen and Cadiz depart from the Prado de San Sebastian station. You can use the bus, the subway and the tram. Eventually, you can also hire a bike (with Sevici or through a bike on rent shop), use your own one or take a taxi. The table below shows you a summary of all the transport combinations. If you want to travel to Huelva, any other region of Spain or even Portugal go straight to the Plaza de Armas station. Actually, from here Seville is very well connected by bus. Spain is not a very big country and you can almost travel anywhere by road. You can easily reach Barcelona, Valencia, Alicante, Extremadura, both Castillas and the north of Spain (Asturias, Galicia and Basque Country). There is a route that runs from this bus station straight to Madrid arriving to its main bus station (Estacion Sur de Autobuses). The trip lasts 6h15 and there are 9 daily buses. It’s a great option if you don’t want to spend on an AVE (high speed) train ticket, usually much more expensive. Nevertheless, there are some tricks to purchase a train ticket at a lower price. There is a baggage consignment where you can leave all your stuff. You also have the usual services that can be found in any bus station (e.g. ATMs, cafeteria, vending machines, newsstand…). You can use the bus (lines 6 and 43). Additionally, you can also use your own bike or a rented one (Sevici or a bike on rent shop), or take a cab. … And on travel in Spain in general.